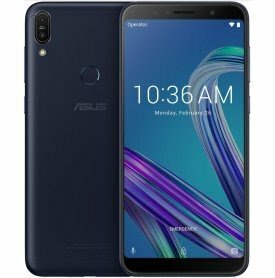 Asus has just announced a new smartphone called Asus Zenfone Max Pro M1. This phone was officially launched in India and would be available in other countries soon. It comes in three different versions - 3GB, 4GB and 6GB RAM versions. They shared the same specifications, just difference in storage and RAM. The Zenfone Max Pro M1 features a 6-inches FHD screen, 4G LTE enabled, built in full Aluminium body, features face unlock, fingerprint sensor, 5000mAh Non-removable battery with fast charging technology. The phone runs on pure Android 8.1 Oreo. Smartphone Price: $165 / $195 / $225.